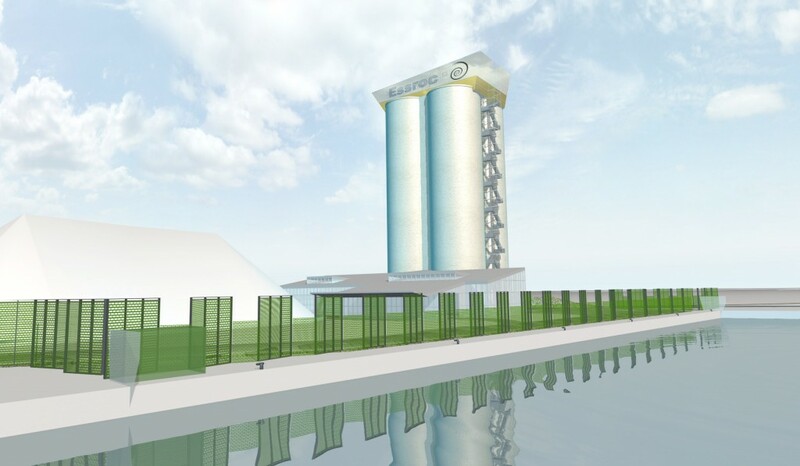 As part long-term planning for the renaturalization of the Don River Mouth and the redevelopment of Toronto’s Port Lands into a mixed-use community, Essroc Cement’s Toronto terminal facility is moving from Cherry Street east to a site off of Commissioners Road at the end of the city’s main shipping channel. B+SA has provided a design effort that included not only the architecture of the new storage silos and office, but a rethinking of the grounds, perimeter and public adjacencies of this industrial site. Our approach has been to alter the surface conditions in which the silos stand, replacing the expected hostility of the industrial complex with a green perimeter and an adjacent public plaza. 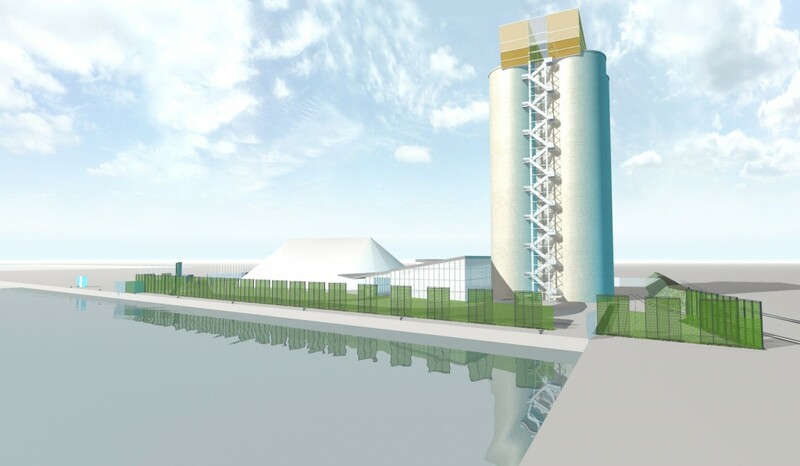 The silo itself is allowed to be a robust, visual monument that strengthens the visual alignments of Leslie Street and the Shipping Channel and establishes a public identity for the lowest stretch of Leslie Street. A green frieze adjusts basic modular fencing materials to become a more acceptable, ecological and prestigious boundary for the industrial process, combining the fencing with a stormwater swale supporting emergent and climbing vegetation. 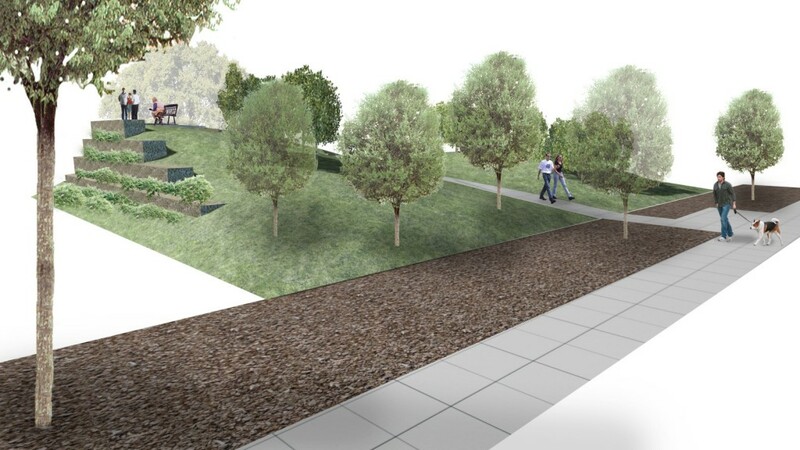 The combined green screening features make the site visually attractive from the exterior, while creating a protective inner zone that provides functionality, wind tempering and security inside the site. 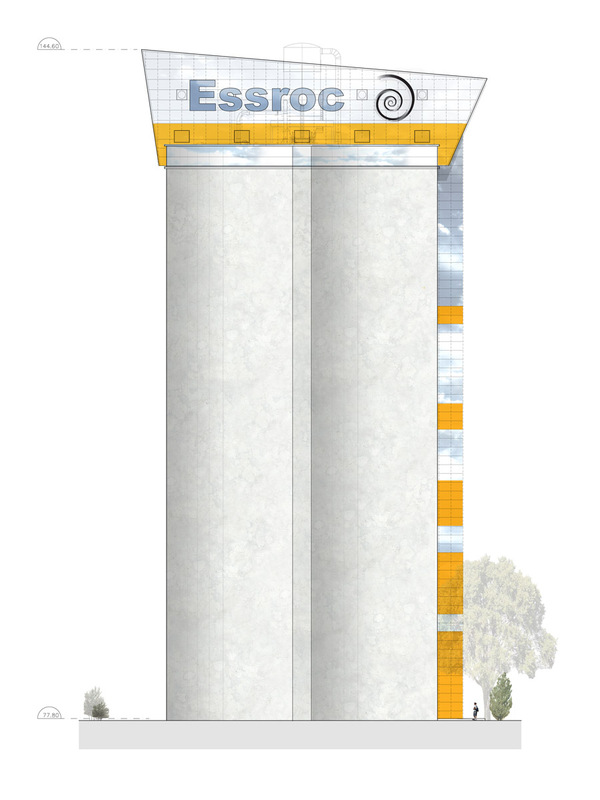 Together with the construction of Essroc’s relocated facility, the community expressed a desire for improvements to adjacent public space and views of the water from lower Leslie Street. 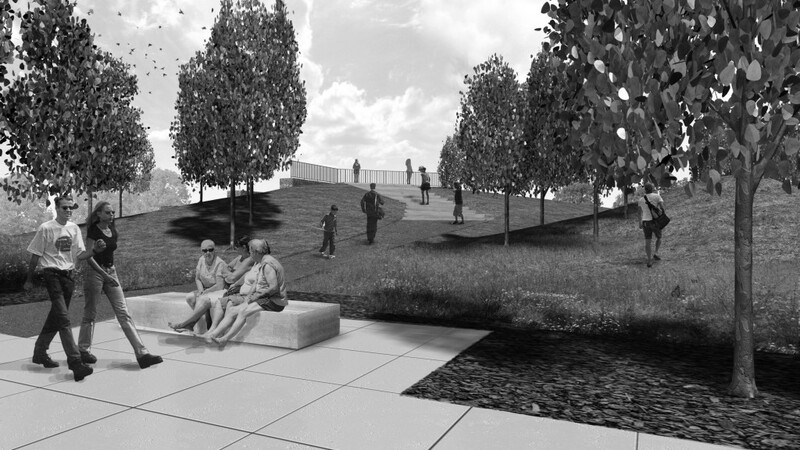 A lookout will link lower Leslie Street to the Shipping Channel, establishing a path connection and a raised lookout to the surrounding maritime landscape. Strung along the path leading to the lookout is a cascade of stairs and a sequence of seating areas, walls and paths that interact together as a route and landscape. 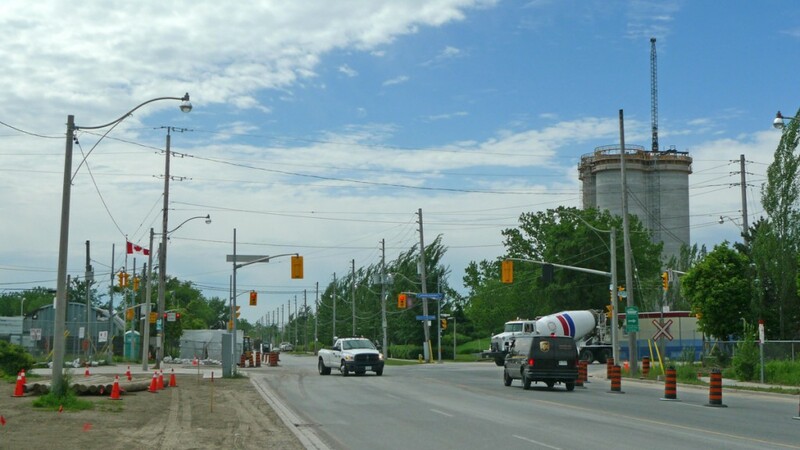 Construction of the complex and public space elements is expected to be completed in 2014-2015. 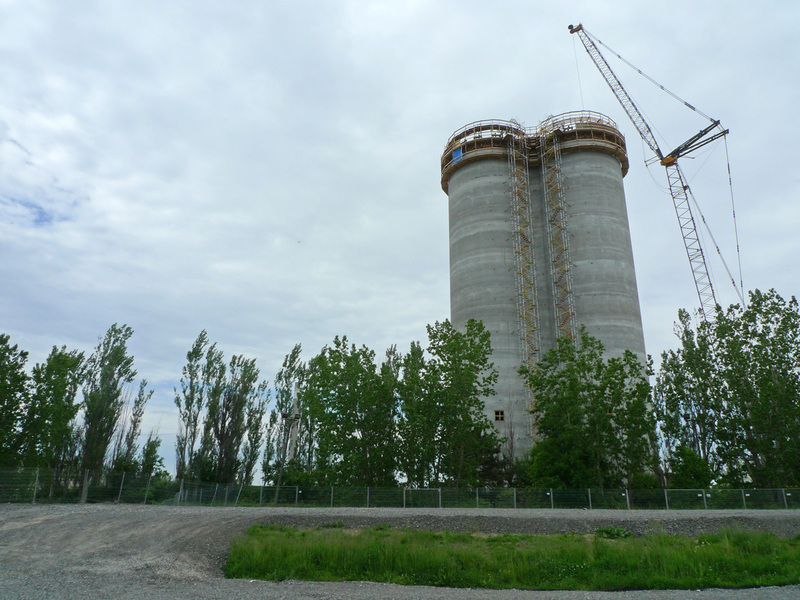 As part long-term planning for the renaturalization of the Don River Mouth and the redevelopment of Toronto’s Port Lands into a mixed-use community, Essroc Cement’s Toronto terminal facility is moving from Cherry Street east to a site off of Commissioners Road at the end of the city’s main shipping channel. Construction of the new facility began in 2012. Scott Torrance Landscape Architect Inc.